Great. First, labor unions caused prices to rise, which eventually led to job outsourcing overseas, and also bankrupted General Motors. Then the unions shrank the labor pool, even in non-union states, if you can believe that . Now the unions are going to aid and abet illegal aliens. Of course, Jews built the labor unions, with some help from communists. Labor unions also skewed elections in America for many years, due to the unions’ significant political power. Very interesting. The leaders of trade unions are corrupt; the board of directors of big corporations against trade unions are corrupt. The republicans are upset because they don’t see any money coming their way, yet. It will all come out in the wash. The non-White serfs can work for the man as long as they pay heavy taxes and big union dues. 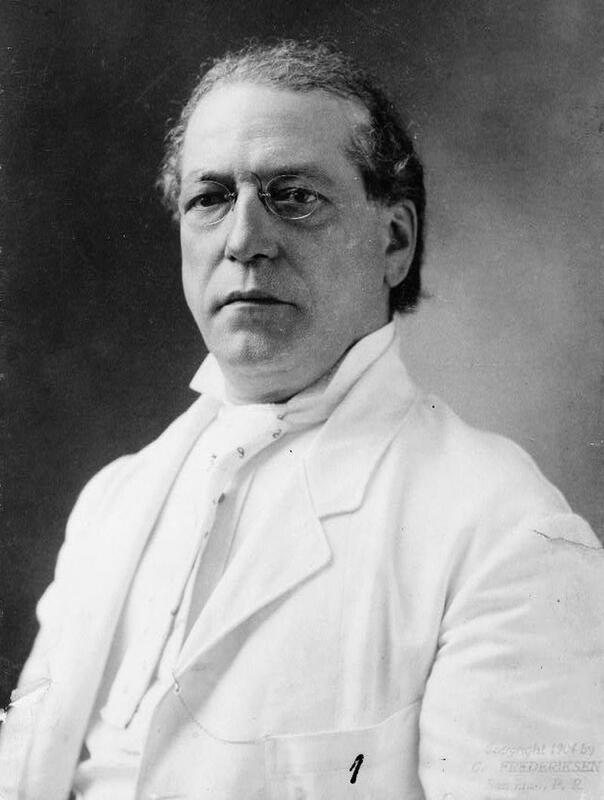 Samuel Gompers (January 27, 1850 – December 13, 1924) was an English-born American cigar maker who became a Georgist labor union leader and a key figure in American labor history. Gompers founded the American Federation of Labor (AFL), and served as the organization’s president from 1886 to 1894 and from 1895 until his death in 1924. He promoted harmony among the different craft unions that comprised the AFL, trying to minimize jurisdictional battles. He promoted “thorough” organization and collective bargaining to secure shorter hours and higher wages, the first essential steps, he believed, to emancipating labor. He also encouraged the AFL to take political action to “elect their friends” and “defeat their enemies”. During World War I, Gompers and the AFL openly supported the war effort, attempting to avoid strikes and boost morale while raising wage rates and expanding membership. Paley’s father, Samuel Paley, a Ukrainian Jewish immigrant, ran a cigar company and, as the company became increasingly successful, the new millionaire moved his family to Philadelphia in the early 1920s. William Paley matriculated at Western Military Academy in Alton, Illinois then received his college degree from the Wharton School at the University of Pennsylvania in expectation that he would take an increasingly active role running the family cigar business. They both came from Cigar producing backgrounds. They both understood marketing and paley got in to early radio, by buying radio ads after years of just newspapers and magazines. Paley and the rest of the joos made the moves, and worked to keep Whites OUT. Birth Of Nation was the prime mover with joos after WW1 to control all media. After his Wiki page, I feel he was good man who did try help all labor, and if any here has worked hard labor for a living and starting life on your with nothing in your pocket, but two hands you know big shops need organized labor. Of course Labor unions for cops and govt workers is mostly 99% wrong IMO. The best labor is a tradesman on your own. Union leadership after WW 2 was more about overthrowing US than justice and fairness. Many Unions made life hell based on seniority for Nation wide corporations, making it tough on yougner members as thirty plus year men would move t rural areas displacing settled men with out consideration. Unions are like a cast on a broken limb sometimes you need it, but its hard to like it. Notice in the article that one of the SEIU’s leaders is a Jew named Balinoff. How surprising is that? But I have been saying for years that Big Labor is one of the groups that is pushing hard for illegal invaders to be given amnesty. So is the Catholic Church, low-end retailers like WAL*MART and the Democrat party. Everyone benefits from illegal mud invaders, except for hard-working, law-abiding, tax-paying White middle and working-class Americans. But who cares about them? I have to disagree. I believe Unions are good since my father was a union worker that supported our family where my Mother could stay home and raise us on a single income but we were never well off. But it was enough for all our needs. I have nothing against union workers. It’s just that union management has a long history of corruption. The managers are over paid. And the worker in the field is forced to pay heavy union dues. The union should operate at its net worth. The union administration employees should not receive a salary of not more than 10% of the craftsmen in the field. Of course if the management treated their employees decently in the first place there never would have been any need for the workers to organize. Ironically, labor unions were not allowed in Communist countries, even though Communism was supposed to be based on serving the needs of the Worker, the laboring proletariat. So the ideal job for a WN is to work 18 hours a day in a coal mine for scrip? Or be a gook working 20 hours a day for a dollar an hour? It doesn’t help the fight against jews to damn them (erroneously, as it turns out) for establishing the pay and safety standards that allowed common people to raise themselves out of servitude and into the middle class. One of your worst, Socrates. I know we “racists” are supposed to be pro-slavery, but you do understand that’s a caricature, right? Gomper’s for his time was a hero for working class people, and for safety, decency, medical mutual respect etc. Union workers back then did give an honest days labor for a living wage too. The communist did get in to the screen actors gill, and from the 1930’s to present the union’s got to supporting leftist anti White issues. Most Union leadership in the 1980’s forward were and are scum IMO. My state’s public employee’s union has been strongly anti White communist’s and ripping the home owners with property taxes and are joo’s with inserted messytizzo bullydyke crazies etc. My has put public retirement in to the state constitution where if the their wall street gambling investments don’t pay up enough the property owners must make up the difference. They retire in their 50’s. In the late 90’s it got so bad with the state retirement schemes they were retiring with 110% of their last years wages etc. State employee’s are big time clock watchers and so many are corpulent leftist and the state has enemy aliens in choke point doing the hiring and in a state that is still White, I don’t believe White straight men are a majority of employee’s any more. State employee’s should not unionized, and public employee again is anti White and every thing leftist bs too. Howdy, even FDR was against the idea of govt employees having unions. I blame those right-wing conservative, big business capitalist assholes for driving the unions out of the private sector and into the government sector. The good old right-wing…doing everything they can to destroy this country while waving Old Gory at the same time. It’s true labor organizations were corrupt and drove wages over what was reasonable in many cases, but we were better off when the Teamsters and others had significant power. They were against more immigration. It was good for Whites. That’s the whole point of recruiting illegal aliens to fill union ranks. Numbers translate into political power and organized labor’s political power has been waning as its numbers shrink. This decision will have unintended consequences as eventually the shitskin mestizos will purge the corrupt kikes and gentiles from union management as their numbers increase and later purge rank and file white people. VNN should ask us all to predict just at what approximate future date the majority of whites will be living in tent cities starving to death in the kwa.